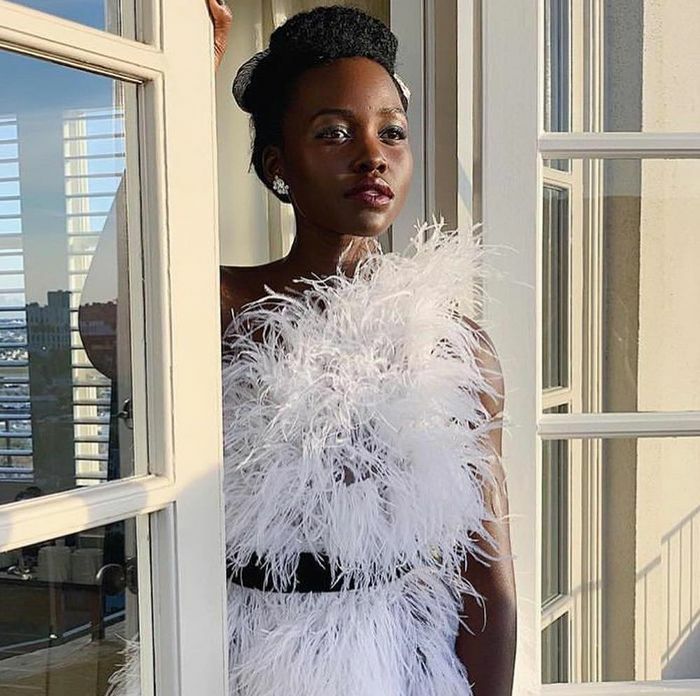 First, 2019 gave us negative-space nails (aka the "naked" mani), but now we've noticed that all the coolest girls on Instagram are nailing another mani trend. 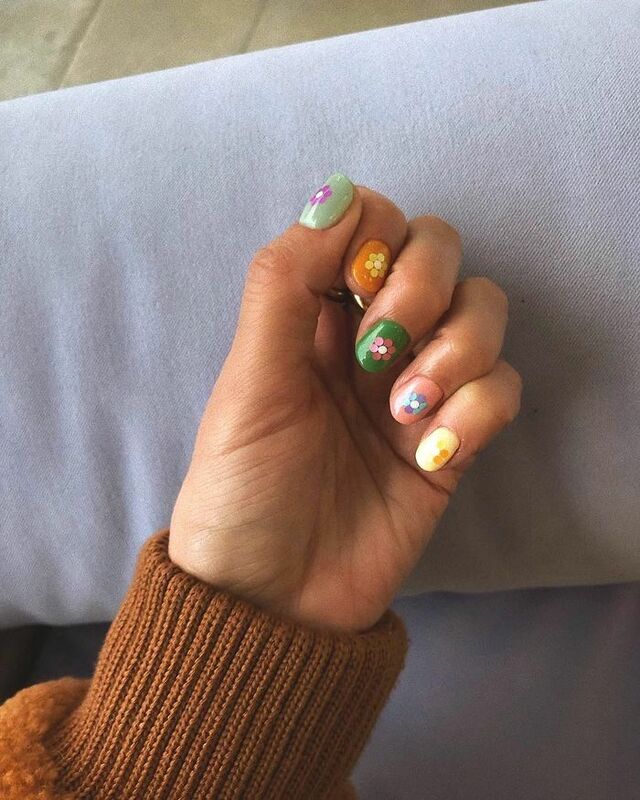 Flowers, glitter and plenty of pink—this latest nail art trend is über-cute and utterly adorable. They remind me of the kind of nails that I would have rocked to a birthday party at primary school, and I'm totally okay about that. Here are three of my favourites that are trending on Instagram right now. This mix-and-match mani mixes bold brights and pastel polishes with flowers for a cool-girl take on colourful nails. It's not just the canary yellow hue that brightens my day but the name that brings back memories of '90s ice cream. Plus, this polish also boasts a fresh and fruity scent for added retro points. A pretty pastel with just a hint of neon lends this pink a cool-girl edge. Mixing bolder shades with pastels is the key to making this floral manicure feel modern and not too young. The downside to this nail polish is that I'm now going to have the Grease soundtrack in my head all day. The upside is that it's the most perfect satsuma hue that will take your nails through spring and into summer. If you love the look of a gel mani but can't bear to spend an hour at the salon, these innovative formulas from Barry M provide the same finish and long-wear at a fraction of the price. You could create the flowers for this look by dipping the end of a cuticle stick into polish and dotting onto nails to form a flower. However, if like me, you're lacking in the nail art department, then these flowers look beautiful pressed onto nails and sealed with a clear top coat. A sheer base and plenty of glitter helps this sparkly manicure feel modern. A soft, sheer pink with plenty of glitter that will have you feeling like the birthday girl every day. A clear base coat that's flecked with golden sparkle so you can get the confetti effect without the need for separate sprinkles. A one-coat solution to sparkly nails, this is an opaque yet glitter-packed polish with a holographic finish. When it comes to glitter, Barry M are my go-to brand for affordable glitz solutions. Sprinkle this over a base coat and seal with a clear or glitter-flecked top coat for a playful way to wear sparkles. I'm seeing pink and red everywhere in the beauty world right now—and it looks equally cute on nails. 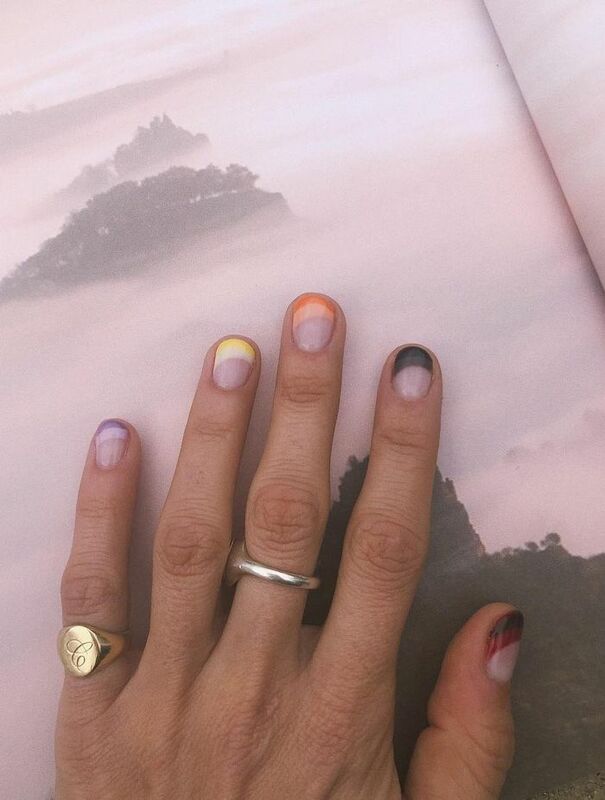 A minimal but still adorable approach to nail art if you don't fancy going all out. This mani might be cute, but this classic pillar box red from Tom Ford is decidedly grown-up. A cute strawberry milkshake pink polish formulated in Australia. If you're looking for vegan, cruelty-free polishes, then Kester Black does both with the added benefit of being free from the harmful chemicals that you traditionally find in nail varnish. While you want your nails to look cute, it's important to take care of them too. Apply this keratin-enriched formula daily on top of your mani to keep your nails strong. Next up, four neon makeup looks we wore to work this month.